Costa Rica has always been a nature-lover’s paradise. Residents, known as “Ticos”, are eager to share their beautiful home with all visitors. Volcano-heated hot springs, tropical rain forests, white sandy beaches, lush river valleys and wildlife including monkeys, sloths, an abundance of bird species, dolphins and whales to name a few, have long enticed adventurers to experience “La Vida Pura”. Locals really do live by the phrase ‘Pura Vida’ (the good life), which means living a healthy lifestyle, from eating well to immersing themselves in their abundance of nature. For visitors looking for adventure, there’s plenty to choose from; hikes through the jungle, white-water rafting, sailing, sleeping in caves and kayaking in the year-round warm sea. Surfers are up at dawn to catch the waves. The jungle is filled with birds, sloths and howler monkeys, just to name a few. You can learn from a variety of experts, from yoga masters to botanists to indigenous peoples who maintain their traditional lifestyles. There are vast national parks to explore and wonderful spas where treatments are aimed at soothing minds as much as bodies. There’s plenty to offer any kind of traveler! 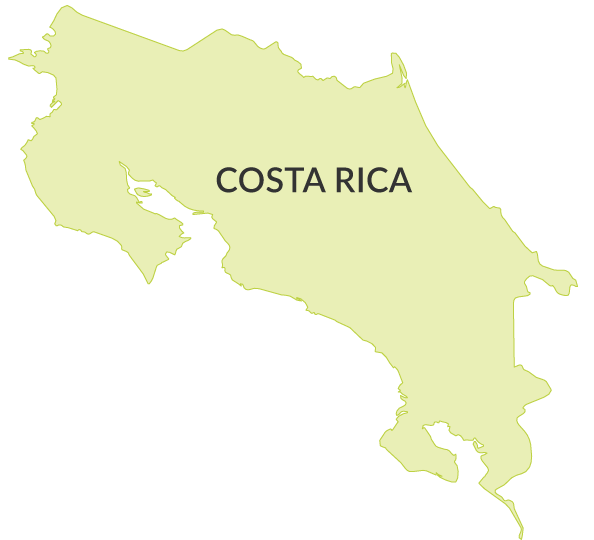 Location: Costa Rica is a rugged, rainforested Central American country with coastlines on the Caribbean and Pacific.